There are ingredients you should always have on hand in the summertime for easy, no-cook meals. Today’s recipe features most of my favorites. Rotisserie chicken – Less expensive than buying a whole, raw chicken! How could you pass this up? Use it in salads, on sandwiches, or serve with grilled vegetables this summer. Avocado – Perfect on everything, from eggs to salads and sandwiches to guacamole on chips. Tomatoes, Red Onions, Limes, and Fresh Herbs – No need to cook these fresh tasting produce items! They’ll brighten up any summer meal. 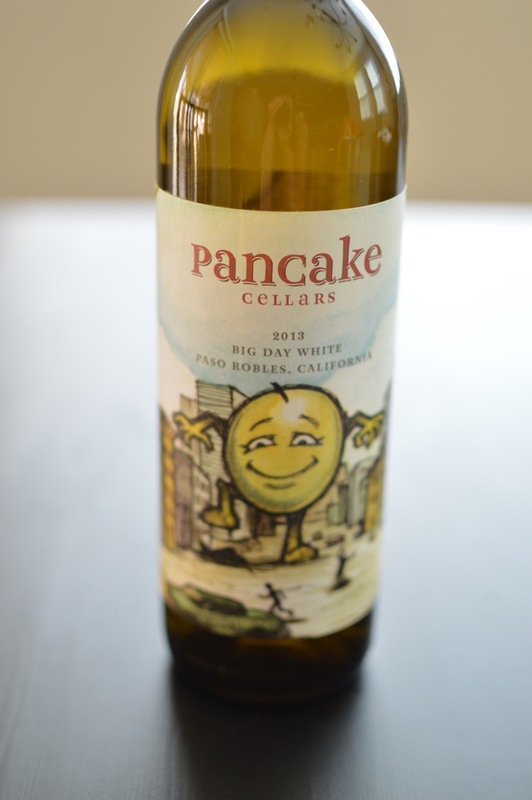 Pancake Cellars’ Big Day White is dangerously drinkable. It offers flavors of white peach, apple, cantaloupe, orange blossom, honeysuckle, and lemongrass. At least that’s what it says on the label. To me it just tastes like summertime perfection! Oh, and did I mention it’s only $5.99? Pour yourself a glass and get started on the salad! 1. Gently fold together all ingredients in a mixing bowl and serve. Boom. Easy, right? I just took a break from house cleaning for 10 minutes to make and eat this. Tidying up the house is much more fun with a glass of wine, Spotify’s “Cleaning the House” mix playing, and fueled up with this refreshing salad. 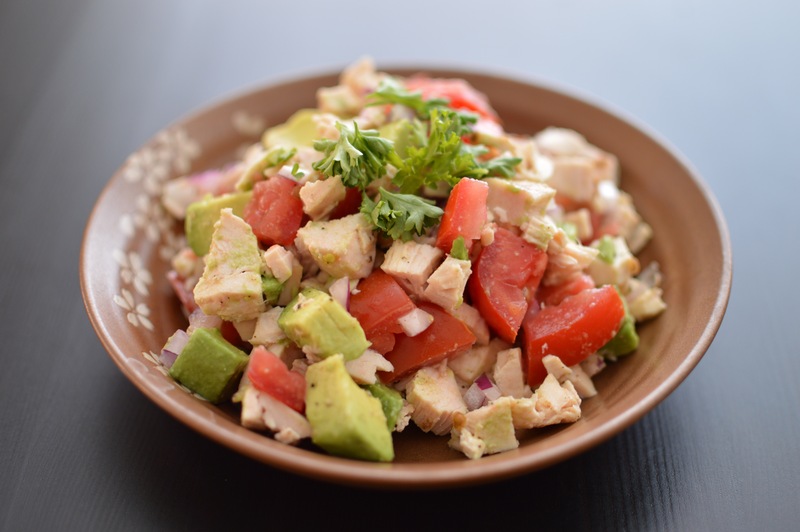 I used rotisserie chicken in my salad, but you could easily use poached or grilled chicken breast instead. I’ll bet this is good with a swirl of Greek yogurt or sour cream added in. Enjoy! What are your favorite summer meals and wines? Love the simplicity! Can’t go wrong with plenty of avocado. Oh my GOODNESS!! 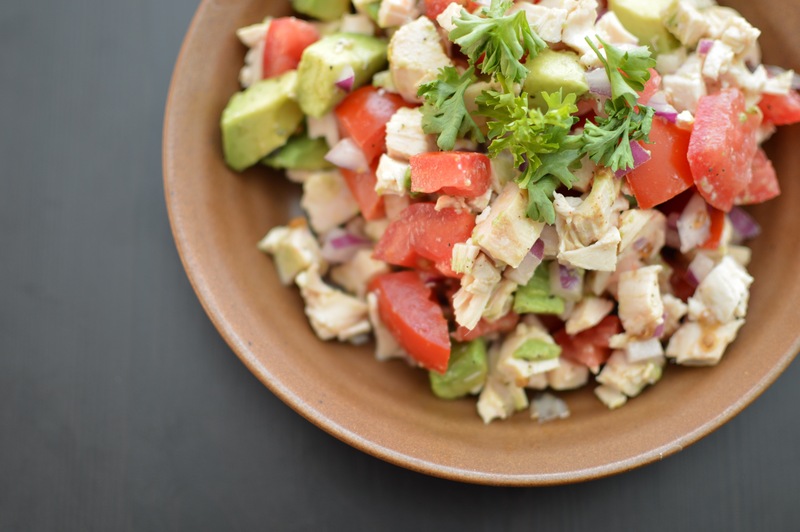 This avocado chicken salad is EVERYTHING I love about summertime!! Love this! I just smoked a whole chicken yesterday and I will definitely be whipping up a batch of this :) YUM!